Bootstrap Business: Expensive UK Renovations: How Much Is Invested Into Business Refurbishment Projects? When people are inside a building the functionality and interior design of it can have great effects on them. Looking from an employee perspective if they’re working in uninspiring rooms that aren’t well lit the productivity levels may drop. From a consumer perspective, floor plan and colours can make a difference to sales. The Interior Refurbishment and Fit-Out Market Report: 2014-2018 claimed that the renovating sector was valued at over £7.1 billion across the UK. Public buildings, office spaces, businesses and hotels are continually being updated and refurbished so that they can enhance their image and stay modern. Why is this sector so important to us and which are the most expensive refurbishment projects in the UK? 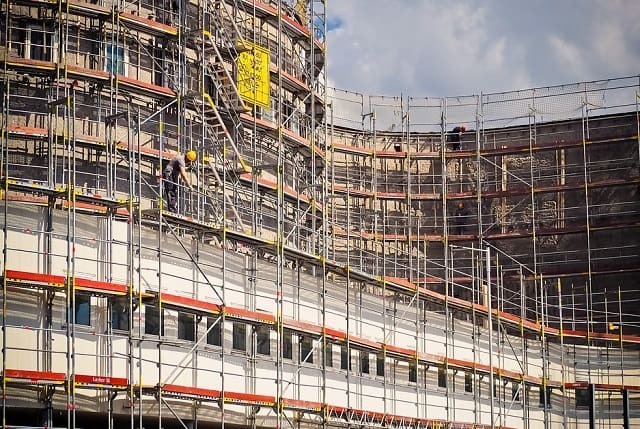 A wide range of industries are dealt with by the refurbishment sector, all buildings of office spaces, department stores, schools and hospitals need to be updated at some point. But is there more behind the profitability of the refurbishment sector? In the hospitality sector, there’s more to a refurbishment than booking a cherry picker and updating the basics or dealing with an overdue maintenance job. In a world that’s increasingly digital, where deals are found in a heartbeat, hotels are finding that they need to do more than offer a comfortable room for their guests. Hotels are having to find new creative ways to stand out from the rest, this includes new features like workshops and tasting events according to Big Hospitality. In order to host such events, the industry has had to increase their refurbishing spending; in 2016, the UK hotel industry had upped their expenditure on such ventures by 57%. For many, it isn’t a case of trying to compete with the cut-price world of online deals. Rather, they are seeking to stay competitive in terms of what they can offer. • Crossrail — Estimated to cost around £14.8 billion, this is the biggest addition to London’s rail network in years. Crossrail is an east-west underground tunnel and there have been conflicting reports on how smoothly the project is going, however, with rail minister Jo Johnson saying in July that the project was over 90% complete and Crossrail stating they need more time. • Battersea Power Station Regeneration —The iconic part of London’s silhouette is estimated to cost £9 billion and will see 250 retail units created, alongside an events venue and park. Plus, plans extend to create office spaces and 4,200 new homes. • Tottenham Hotspur’s new stadium — The stadium which was meant to be finished in September 2018 has fallen behind schedule. The estimated cost of this new stadium is £750 million-£1 billion, and includes a 40m high Sky Lounge, 62,000 seats, premium seating with views of the players in the tunnel, an in-house bakery, a retractable pitch, and heated seats complete with USB ports. The Education sector has seen huge amounts of money getting invested into its future, The University of Glasgow has an expansion project of its grounds that is going to cost approximately £1billion. With plans for a new business school, learning hub, and research facility, along with higher accessibility, the University’s huge refurbishment and development project is born from a hope to better support its research and post-graduate capabilities in the wake of the “two degrees” generation who feel a bachelor’s degree is no longer enough. With money being invested into every sector for new refurbishment projects, we will see the experiences and facilities transform throughout the country grow nicely. I hope you enjoyed this blog post about expensive UK renovations and how much is invested into business refurbishment or property restoration projects. Interested in more articles about construction and real estate?